Emeril’s Delmonico Happy Hour, daily beginning at 5 p.m.
During happy hour guests can enjoy $0.99 charbroiled oysters and $5 small plates, prepared by Chef Anthony Scanio along with half price wines by the glass and select bottles, and half price specialty and well cocktails. Small plates include Eggplant Caponata with Crostini, Deviled Eggs and Candied Bacon, just to name a few. Guest can also choose from a selection of classic and original cocktails, like the Sazerac, Moscow Mule and the Hurricane Punch (light rum, Rougaroux dark rum, hibiscus, tropical fruit, grenadine), among others. 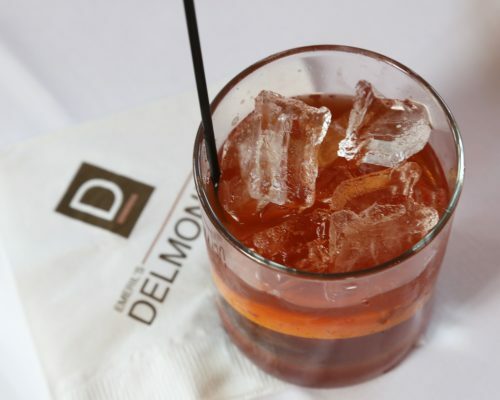 Emeril’s Delmonico is located at 1300 St. Charles Avenue and is open for dinner daily starting at 5 p.m. To make reservations or view the entire menu, call (504) 525-4937 or visit the Emeril’s Delmonico website. © 2019 Emeril's Homebase. All Rights Reserved.